Some joke that the Oregon rainy season begins in September and lasts until July. Others say that there are really only two seasons – rain and summer. The truth, however, is much different than what people say with their tongues in their cheeks. Oregon, including the Southern Oregon Coast, enjoys four distinct seasons, each with its own natural beauty, and each bringing its own set of fun events. Spring in Bandon brings the sun and warming weather, mixed with leftover storms from the winter. The wind shifts from south to north and back again as the weather decides from day to day, and sometimes hour to hour, what it is going to bring. The mix of rain and sun with warming temperature encourages plants to come out of their winter dormancy. Flowering shrubs burst into color and bulbs wake up in a variety of hues. Wild rhododendrons turn pink, alliums and calla lilies come up white, salal, wild strawberries and huckleberries blossom and even the prickly gorse blooms yellow. The new growth on grasses and trees provide a beautiful emerald green background. Temperatures average from the upper 50s early in spring, and May and June can see temperatures in the 70s. 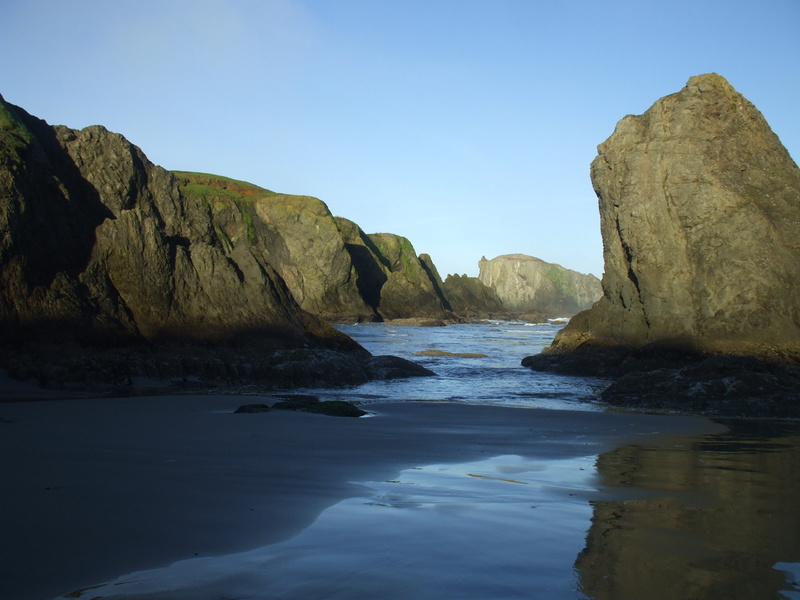 Although there are fun activities year round in Bandon, spring brings an increase. Golf courses open and restaurants and shops expand their hours. Interesting and fun annual events such as the Blessing of the Fleet, the Marine Swap Meet, the Cheese and Wine Extravaganza and the Bandon Dunes Cup happen in the spring months and encourage everyone to get out into the community. The Farmers’ Market opens the first weekend in May, and the first strawberries are a welcome sight. As most warm-blooded creatures are drawn to the warming weather, Bandon sees an increase of tourism in the spring, both human and non-human. The parking lots of hotels and inns are fuller, the beaches have more footprints, and it gets a bit tougher to find a spot to park in Old Town. Even the whales are passing through; they pass through this part of the coastal area in March and offer great whale-watching. Harbor seals can be seen on the rocks catching some rays with their newly-born pups. Summer is a fabulous time in Bandon. Its brilliantly sunny days with temperatures in the 70s and clear nights provide the perfect setting for outdoor fun and an escape from the summertime heat elsewhere, and the north wind keeps the air fresh and cool while fueling kites and windsurfers. Wild huckleberries and blackberries ripen and tempt those willing to do a bit of foraging. The opportunities for outdoor summer activities seem limitless. Residents and visitors spend as much time outside as possible. Bicyclists head up and down the coast and out peaceful country roads and trails, and hikers find their ways to trails and beaches. Golfers fan out to the many quality golf courses in the area. Windsurfers find perfect wind and waves while kayakers and canoers take to the lakes, rivers and streams. Campers return to their favorite campgrounds, and horse enthusiasts book horseback rides on the beach. Summer is a great time to visit the Wildlife Safari just north of Bandon. Where animals in other zoos are lazy and listless in the hot sun, the animals here are active and interesting throughout the season. Summer also sees some exciting festivals and activities in Bandon. 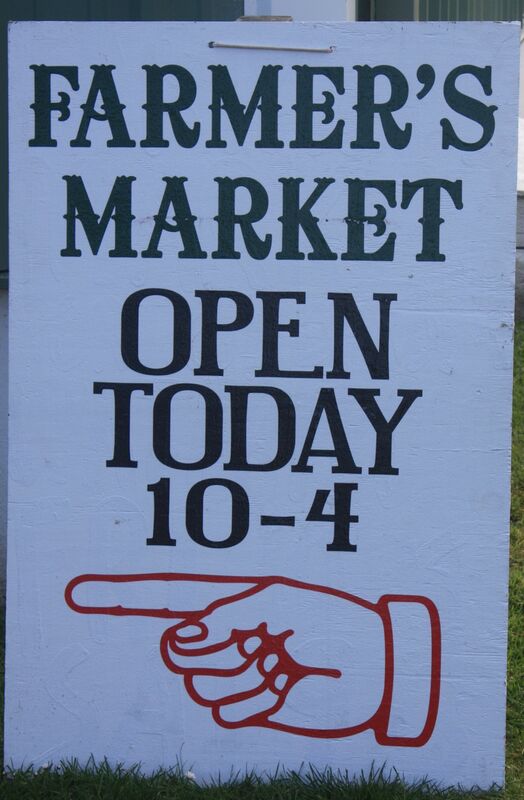 The farmers’ market is bursting weekly with fresh produce, prepared foods, plants and handcrafted goods for sale. Old Town’s streets are bustling with people visiting gift shops and restaurants. Annual festivals such as the 4th of July celebration, Oregon Shorebird Festival in nearby Charleston, Windfest, and the Cape Blanco Music Festival are favorites that draw people from near and far. The warm weather and vacation time mean road trips for many families. Summer is a great time to visit neighboring communities and take advantage of the variety of things they have to offer. Visit one of the many state parks on the South Coast, or take a jet boat ride from Gold Beach up the Rogue River. Just because the calendar flips from August to September does not mean that summer around here ends. Bandon typically enjoys an Indian summer with warm temperatures and dry days extending into October. At the same time, the tourist presence dies down, and the motels, inns and vacation rentals switch to their less expensive winter rates. Beach walkers sometimes find themselves walking in the sun in their short sleeves on nearly empty beaches. Fall visitors to Bandon are treated to stunning shades of orange, red and yellow as the deciduous trees turn color against a background of the deep green of the evergreens. As the season progresses and approaches winter, the weather starts to turn, and the beaches can become stormy, but that just means the beginning of stormwatching season, and many welcome this as they do the summer. Fall is harvest time in Bandon, and the farmers’ market continues to be busy with fall produce. The area’s dark red cranberries are harvested in late fall, just in time to make it to our Thanksgiving and Christmas dinner tables. September brings one of the most anticipated events of the year, the annual Cranberry Festival, begun in 1947 to celebrate the cranberry harvest. With its Cranberry Court coronation, parade, cranberry eating contest, fun run, music and food, it is a weekend of fun that will not soon be forgotten. The Oregon Coast Film Festival is another entertaining and educational annual event happening in October, showcasing talented filmmakers from the region. Wintertime brings cool and rainy days to the Pacific Northwest, and Bandon is no exception. In fact, it can get downright stormy, but that is no reason to stay away in the winter. Stormwatching is a favorite activity for many residents and visitors alike. Whether watching comfortably from a home or rental (with discounted winter rates) with a hot beverage and blanket or walking, nothing can compare with the wild winter nature in Bandon. The whales, having passed through earlier in March, make their way back in December, making gazing out into the ocean even more attractive in winter. Winter in Bandon is not all rain and storms, however. As Bandon sits at the north end of the Oregon Coast’s “Banana Belt”, it is not uncommon to experience bright sunny days in the 60s in January. Those days are a welcome respite from cloudy skies for those who live here as well as for visitors from other places experiencing the snow and ice their winters bring. Shorter days do not mean lack of fun for Bandon in winter. The holiday season is a time of many activities and fun, starting with the Night of 1,000 Lights and the lighting of the Christmas tree. Shop Bandon rewards holiday shopping at local stores with a promotional glass. Gingerbread houses from the annual contest are on display, and the communities’ children put their talent on display in school concerts. Many turn out for a community Christmas dinner where they can celebrate with their friends and neighbors. Winter in Bandon is not to be missed. It offers the perfect combination of cozying up with hot chocolate, a good book and a view of the crashing waves and activities to encourage getting out of the house and into the community. Year round, residents can enjoy plays, musicals, concerts and dance at the Sprague Community Theater, free events at the Bandon Public Library, and other fun and interesting events. The face of Bandon may change with the seasons, but the weather and the community see to it that there is always something interesting going on. There is no bad time to visit Bandon!